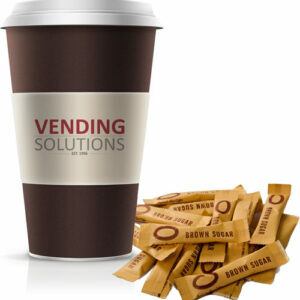 Vending Solutions delivers coffee consumables directly to you. In addition to supplying a full range of leading coffee consumables, including Nescafe range, Jacobs, Ciro, Nestle, Ricoffy, Freeze Dried Milk, Cremora, Vending Sugar, etc. At the best prices. Vending Solutions has also developed its own brand of coffee, specially roasted locally for use in coffee vending machines. We have a range of Italian vending coffee sachets for you to choose from, in convenient measured portions. Note that Vending Solutions does not specifically endorse any singular coffee brand and endeavours to supply you with consumables to suit your needs. As well as providing a range of coffees and sachets to keep your vending machines fully stocked, Vending Solutions has a variety of beverage accessories to choose from as well. Take a look at our selection of cups, lids and stirrerson hand, and contact us today to place your order. We offer man-in-a-van and man-on-a-bike services, whereby one of our uniformed and trained operators will clean, rinse and stock your coffee machines with consumables. We will deliver the coffee consumables directly to your office and ensure that your coffee machines are ready for the day ahead. This additional coffee machine service is currently only available in Johannesburg, Pretoria and parts of Gauteng. 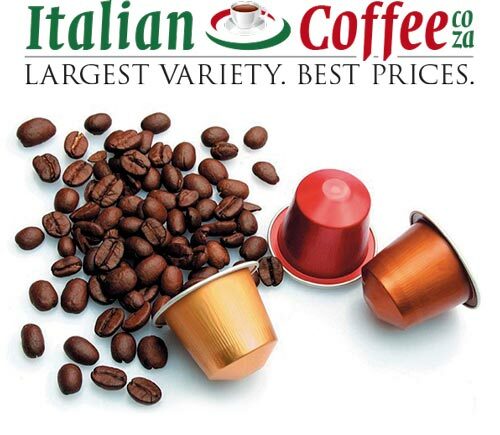 Visit the Italian Coffee Online Shop for a wide variety of imported compatible and original coffee capsules at unbeatable prices! Our delivery service means that you do not need to visit the mall in order to get your coffee capsules. Contact us today to order your choice of consumables at the best prices.